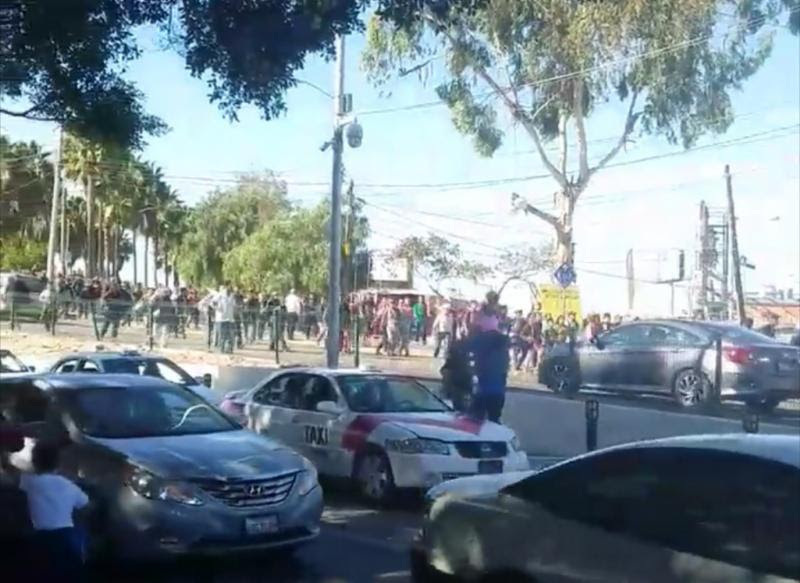 Due to the multiple planned demonstrations on both sides of the border, CBP deployed additional personnel to the San Ysidro port of entry on Sunday. At about 11:15 a.m., travelers driving northbound into the U.S. at the border crossing likely noted a highly visible change to port operations, including additional personnel deployed in the lanes of traffic on the U.S. side of the border. CBP officials are working to deploy personnel in a manner that will not require the suspension of normal operations at the port of entry. As long as the demonstrations remain peaceful, and do not begin to impede traffic at the port of entry, CBP does not anticipate that deploying the additional personnel will impact the processing of legitimate travelers or wait times at the border crossing. The additional personnel, which included CBP officers, U.S. Border Patrol agents, and Air and Marine agents, were recently deployed to the San Diego area from various areas around the country in preparation for the potential arrival of the caravan in Tijuana. Department of Defense personnel, recently authorized to support the protection of federal property and the safety of federal personnel, were also deployed to the border crossing, prepared to provide crowd control and support other activities as needed. In order to complete the CBP mission to secure the border, CBP remains prepared to rapidly mobilize resources, to include personnel, to respond to operational needs and concerns. CBP is continually assessing the capabilities of our facilities and has been making – and will continue to make – necessary preparations. These include participating in operational readiness exercises and the mobilization of resources as needed to ensure the facilitation of lawful trade and travel. CBP’s highest priority is the safety and security of the American people, the traveling public, CBP personnel and the communities in which we serve. Mexico stands with migrants. The new U.S. asylum policy must respect their rights.